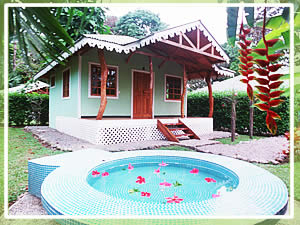 Cahuita Hotel Ciudad Perdida Ecolodge:. 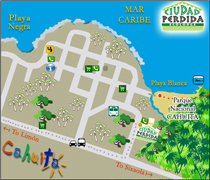 Cahuita Hotel ~ Situated in a privileged location, bordering the world famous and enchanting Cahuita National Park, Ciudad Perdida is a unique Lodge offering the visitor an experience never to be forgotten. Ciudad Perdida, surrounded by tropical forests, exotic gardens and lush vegetation, also contributed to the conservation of local culture and building style, enhancing the local scenery and atmosphere. 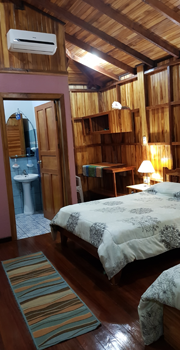 The lodge is very close to the main entrance of the national park, and just a few steps away from downtown Cahuita, a cozy and easy-going Caribbean seashore town. 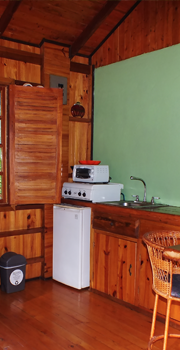 Ciudad Perdida Ecolodge features single room bungalows, 1 Room Bungalows, 2 Room Bungalows that are equipped to make your stay a pleasant and comfortable experience! 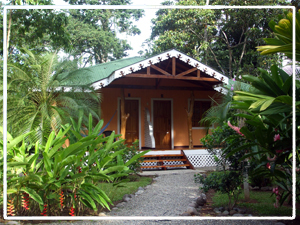 The houses, with a Victorian/English design, represent the original Costa Rica´s original Caribbean architecture, and they are equipped to make your stay a pleasant and comfortable experience in the hotel. Air conditional - Ceiling Fans - houses with kitchen - Jacuzzi - Comfortable beds - Hammocks - Refrigerator - Coffeemakers- Safe deposit box - Laundry service - Tours in the zone - Internet - t.v cable. 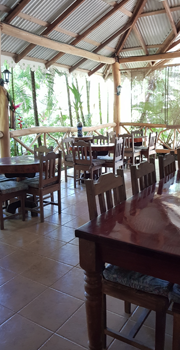 We also offer a beautiful restaurant, where breakfast is served daily by our friendly Costa Rican staff. 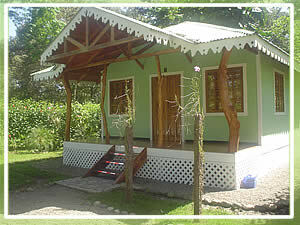 The Hotel focuses on the Costa Rica Caribbean architecture, using an English-Victorian style, typical of the Costa Rica Caribean. The wood used is from a forest plantation, assuring the construction does not contribute to the indiscriminate destruction of the native forest. 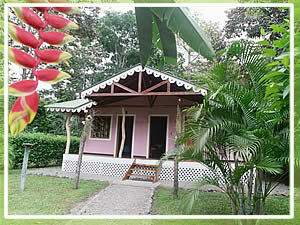 We hope that you come to join us to Ciudad Perdida Ecolodge! 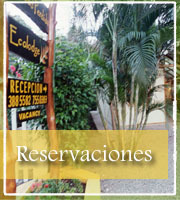 We are looking forward to making your visit an integral and wholly sustainable experience. The South Caribbean is one of the treasures of Costa Rica, the most exotic beaches in a very well preserved rainforest area. 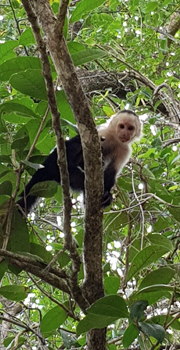 Cahuita, in the South Caribbean, is a truly charming town; a real Caribbean town where time seams to be stopped, with heaven on Earth beaches surrounded by majestic tropical forests.